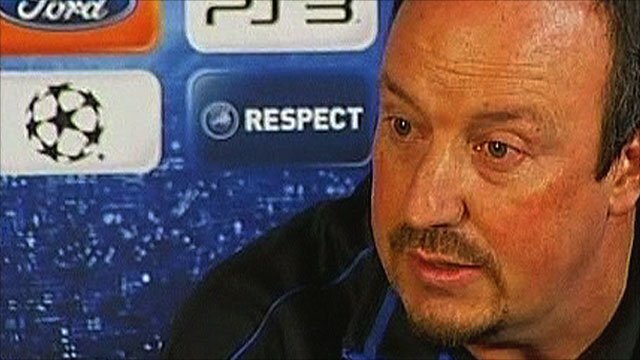 Inter Milan have parted company with manager Rafael Benitez just over six months after appointing the Spaniard. The move follows Benitez asking for backing from the board to buy players following the Serie A side's Club World Cup win over TP Mazembe last Saturday. A statement on Inter's website said "a mutually satisfactory agreement" had been agreed. Benitez, who succeeded Jose Mourinho in June, added: "I want to thank everyone for the support I received at Inter." Quoted by Italian news agency Ansa, Benitez added that his brief tenure had not been without success, the club beating TP Mazembe in his last match in charge to win the Club World Cup. "The two titles we won [the Club World Cup and Italian Super Cup] were the result of the commitment of all those who have been on our side, maintaining the basic principles of professionalism, education, respect and dedication to the club," he added. "Regardless of the sadness that is natural when you leave a big club like Inter, we take with us the joy of the memories of the fans who welcomed us after winning the Club World Cup. "I would also like to greet the players, staff and employees. I wish all of them, as well as the club and the fans, the greatest sporting success for the future." Ultimately Mourinho, who left for Real Madrid after leading Inter to the Serie A title, the Italian Cup and the Champions League glory last season proved too hard an act to follow. Benitez was named Inter manager a week after leaving Liverpool on 3 June and, although he had injuries to key players to contend with, the 50-year-old's exploits did not help his cause. At the time of his exit, Inter were 13 points behind Serie A leaders and arch-rivals AC Milan and struggling for form, albeit with two games in hand. In defence of their Champions League crown, Inter could only finish as group runners-up behind Tottenham to leave them facing a difficult tie against Bayern Munich in the last 16. Inter president Massimo Moratti was less than impressed by Benitez's comments and said they "were not suitable for the situation" before adding it was "not the moment to ask for reinforcements". Consequently, the Inter board has removed Benitez with the Serie A season currently on a winter break and Inter's next game scheduled for 6 January at home to Napoli. "Inter thank Rafael Benitez for his work in leading his team to success in the Italian Super Cup and the Fifa Club World Cup," added the San Siro club. 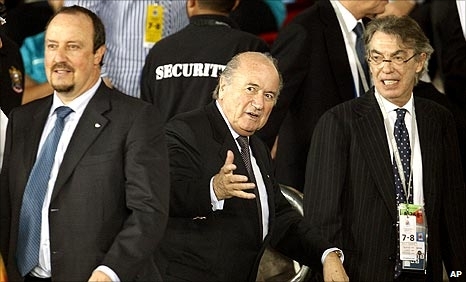 Ansa quoted Moratti as saying: "I'm sorry the relationship with Benitez is over, but the split had become inevitable."